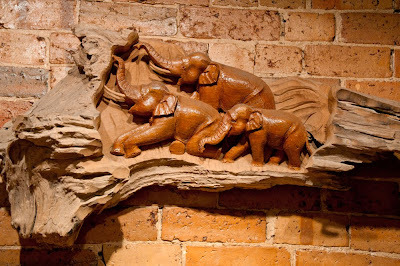 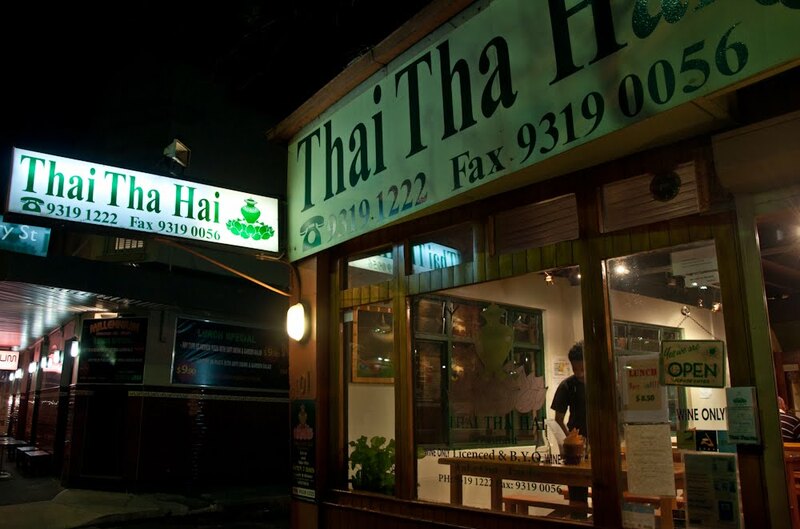 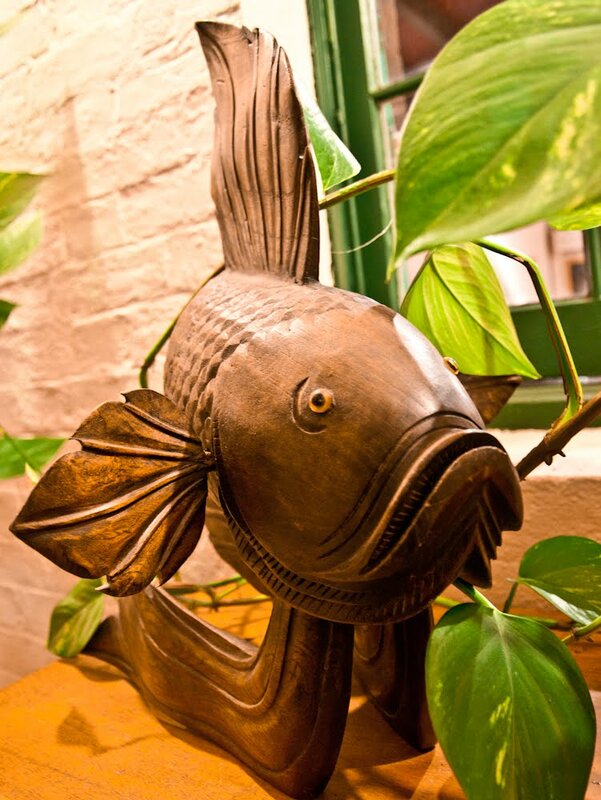 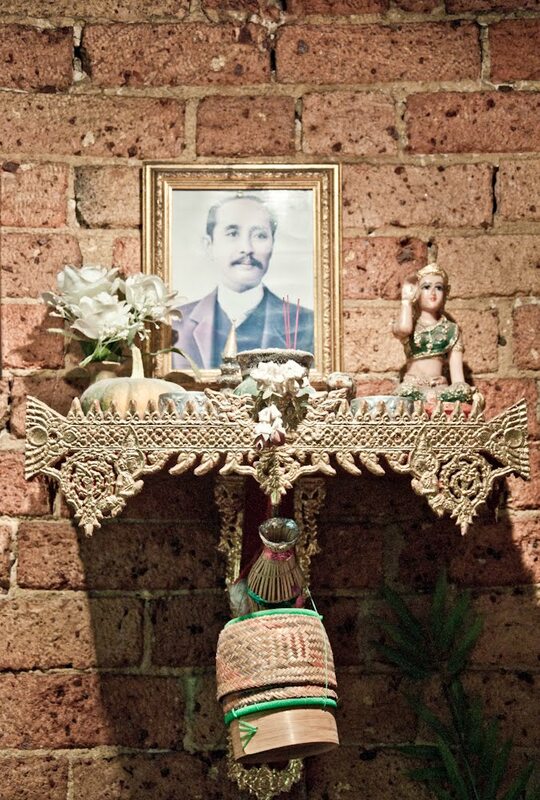 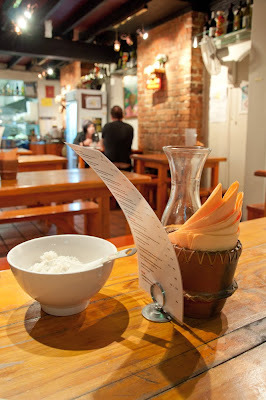 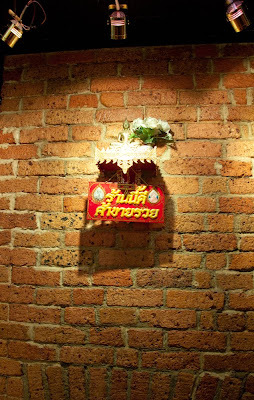 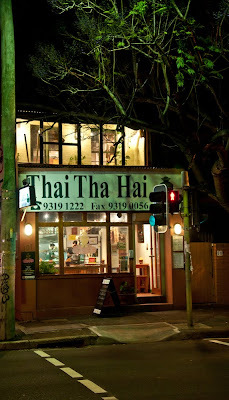 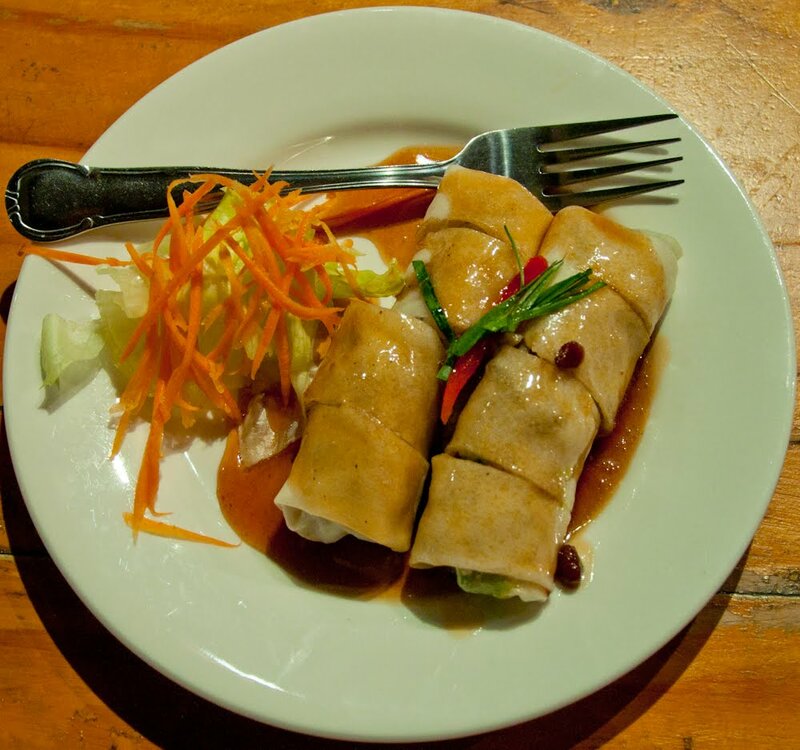 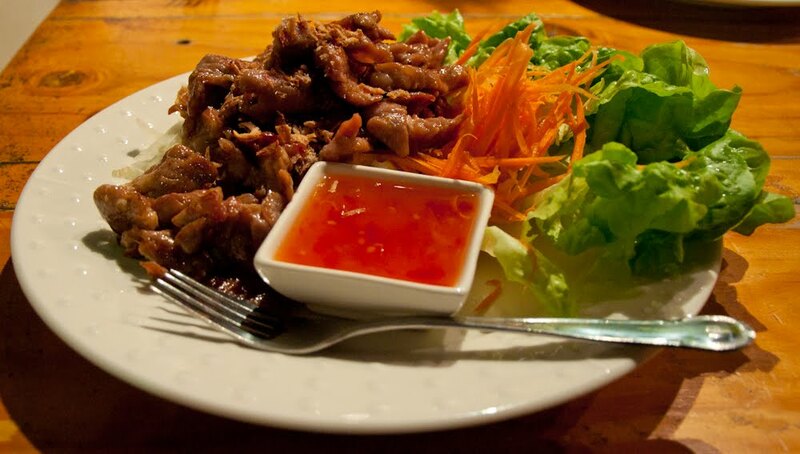 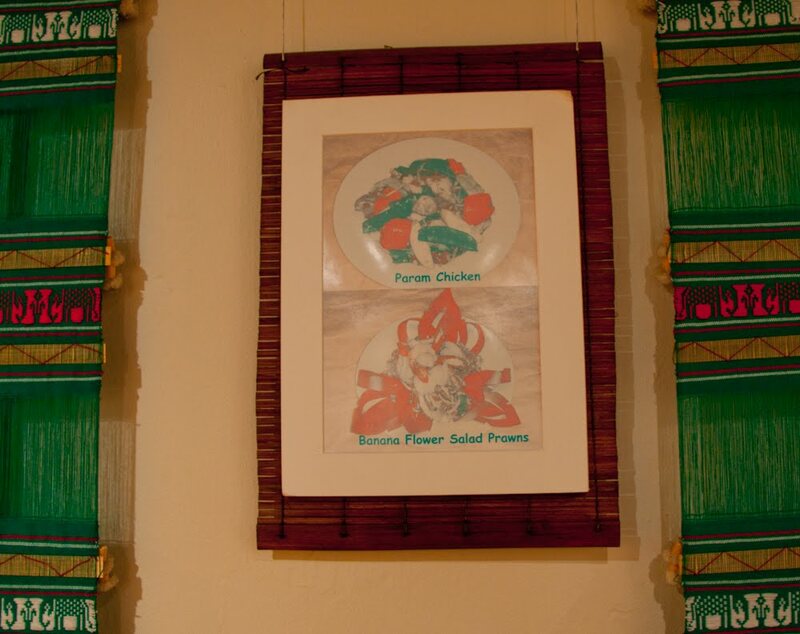 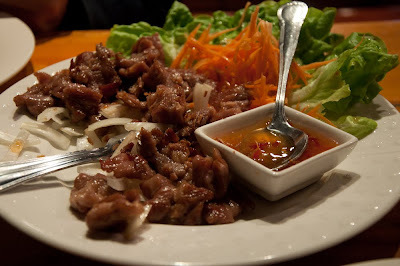 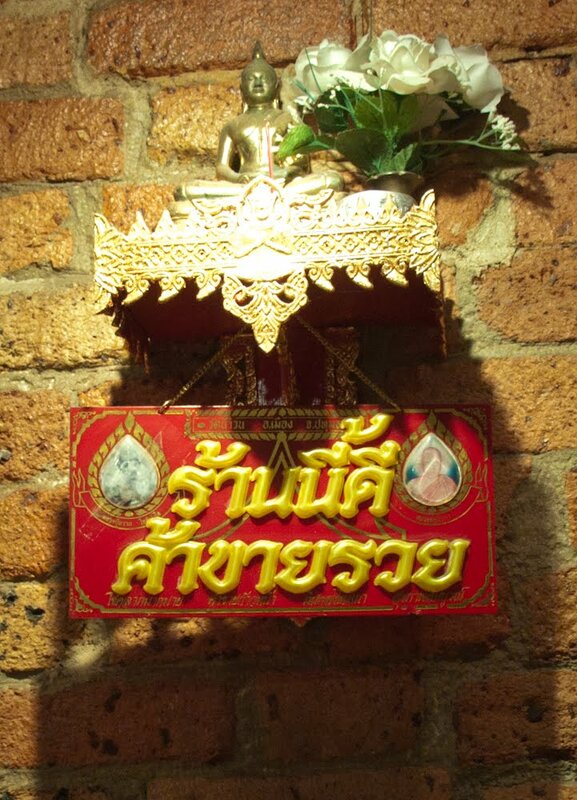 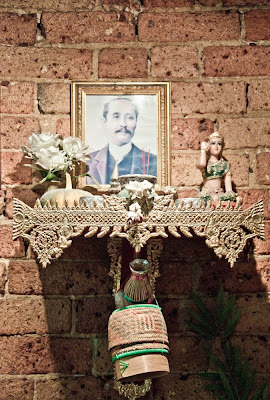 Thai Tha Hai is a cosy little Thai restaurant unpromisingly located on one of Chippendale's busiest thoroughfares, at 101 Cleveland Street. There are wooden elephants, anodoyne pictures, a shrine to the King, and a nice little area upstairs with a balcony populated by startled-looking wooden fish. 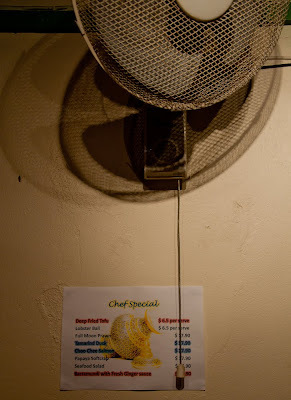 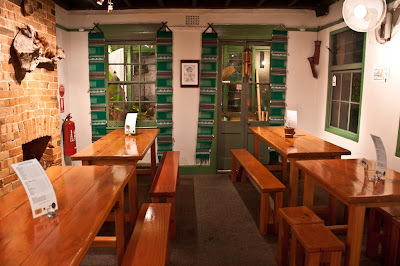 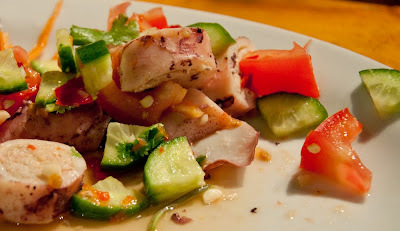 The staff are friendly, you can BYOB, prices are reasonable and good food is served up in double quick time. Below: juicy vegetarian spring rolls; moo yang tha hai, grilled pork with sweet chilli sauce; doo dee tha hai, stuffed squid with salad; and wonderfully moist steamed rice. 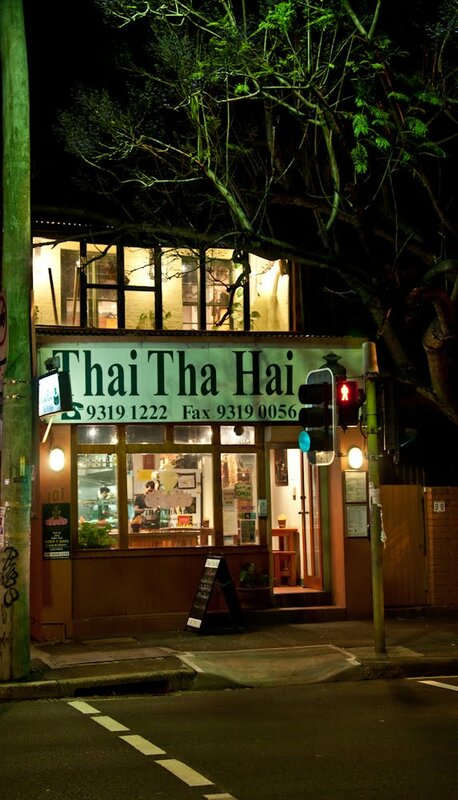 A nice welcome on a cool Sydney evening.